I began seeing his stubbornness as determination, his strong will as drive, his high emotionalism as passion. Today Tom tried jumping rope for the first time, and I watched in awe as he used his (what I've always considered to be) unfavorable personality traits to his advantage. 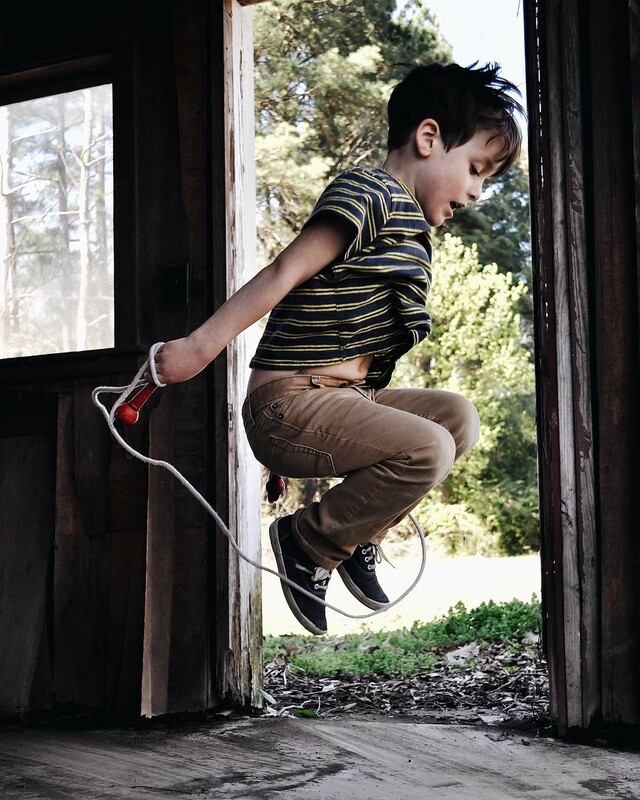 As I observed him make the decision to jump over that rope, try and fail more times than I could count, and yet never give up, and ultimately succeed, I began seeing him in a new light. I began seeing his stubbornness as determination, his strong will as drive, his high emotionalism as passion. Today Tom opened my eyes to his favorable personality traits. Today I learned how to better appreciate the challenges he presents and how to better love Tom the Tornado Carpenter.